2015 has been a year for anniversaries. As the World War One centenary commemorations continue, we’ve already had the bi-centenary of the Battle of Waterloo and the 800th Anniversary of the signing of Magna Carta. 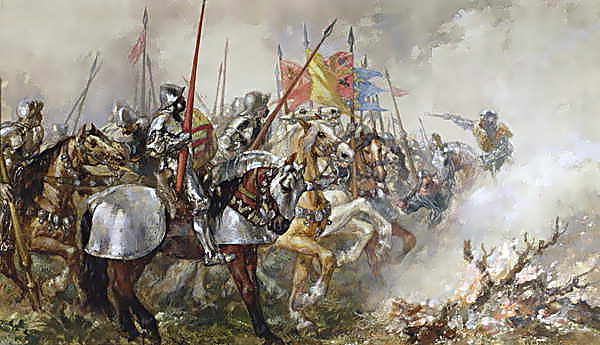 The latest historic event reaching a significant birthday is the Battle of Agincourt, which sees its 600th Anniversary on the 25th October. The battle was fought on a muddy field near Azincourt in northern France. Jason McCrossan spoke to the author Dr. Ian Mortimer about his groundbreaking and ambitious book 1415 Henry V’s Year of Glory – which records the dramatic events of 1415 on a day-by-day basis, culminated in the battle of Agincourt: a slaughter ground designed not to advance Henry’s interests directly but to demonstrate God’s approval of Henry’s royal authority on both sides of the Channel.